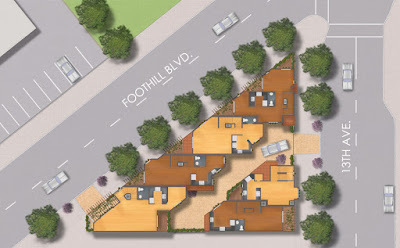 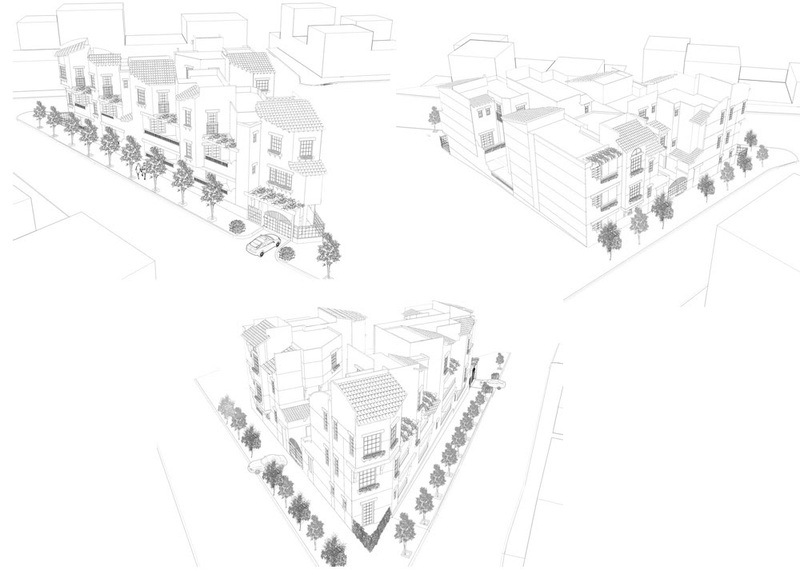 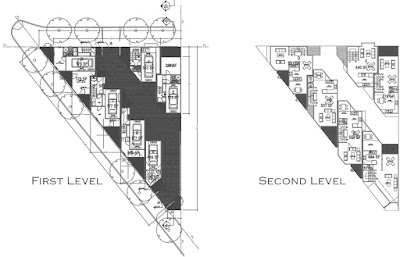 Six residential units fit snugly onto an impossibly small triangular site. 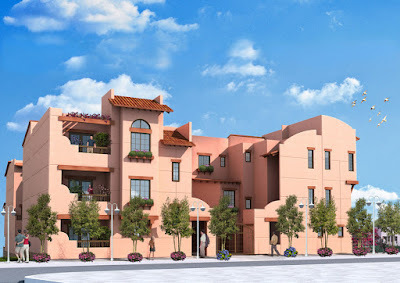 A central courtyard and ground level parking lead to comfortable three story units with open floor plans and balconies. 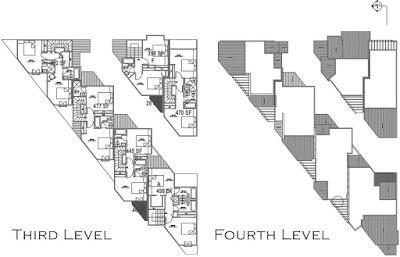 Each unit has an individual floor plan to best use its space. 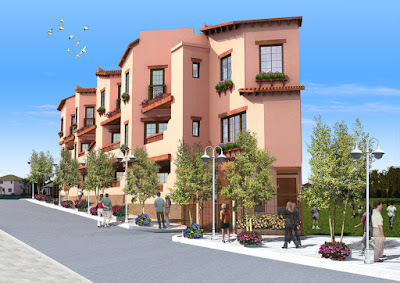 While maximizing the use of the site, DIAP was able to provide double the required area of open space, and create pleasant, livable units in the local vernacular style.